Digital out-of-home has changed the face of outdoor advertising – and the future’s looking bright for this transformative medium. According to the Advertising Association/Warc Expenditure Report, DOOH claimed a 31% share of total out-of-home adspend in 2015 – set to rise to 40% in 2017. And PwC predicts that DOOH advertising revenues will overtake traditional spend in 2020, growing at a rate of 15% a year for the next four years. It’s no surprise, then, that in a 2016 Ocean survey of executives from media agencies and outdoor specialists, 86.3% identified DOOH as having the biggest growth potential over mobile, video on demand and other media channels. That growth is being fuelled by a rapid expansion of DOOH inventory, new technologies and innovative creative that plays to the medium’s strengths. With the medium becoming more established, we have identified five areas where we expect to see the biggest potential for growth, from more immersive visuals to interactive installations. And we’ve picked out how you need to respond to those changes to make the most of the new frontier of DOOH advertising. DOOH is undergoing rapid expansion, fuelled by falling prices for LCD and LED display technology and the emergence of a programmatic marketplace. A recent industry study predicts that digital out-of-home inventory will grow by 40% between 2015 and 2020 – and DOOH screens are springing up in new locations, from New York to Hong Kong. The UK is no exception. 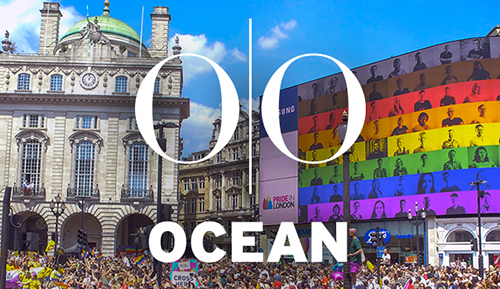 In city centres, Ocean has doubled the size of its full-motion, city-centre screen portfolio, The Grid, from seven to 14 screens, and expanded its premium Westfield proposition to include both Westfield Stratford City and Westfield London. New locations also mean new formats – Westfield London’s future expansion is said to include a full-motion screen that’s expected to be the biggest in London. DO Buy networks. With the constant development of advertising opportunities, standing out from the background noise will be more important than ever. Consider buying takeovers of premium screen networks to ensure your message is being seen consistently, and often. The world is becoming more connected, and DOOH is no exception. Every day, new sources of data become available, enabling the creation of more contextually relevant communications. New technologies will enable DOOH to integrate more effectively with other platforms, such as mobile. 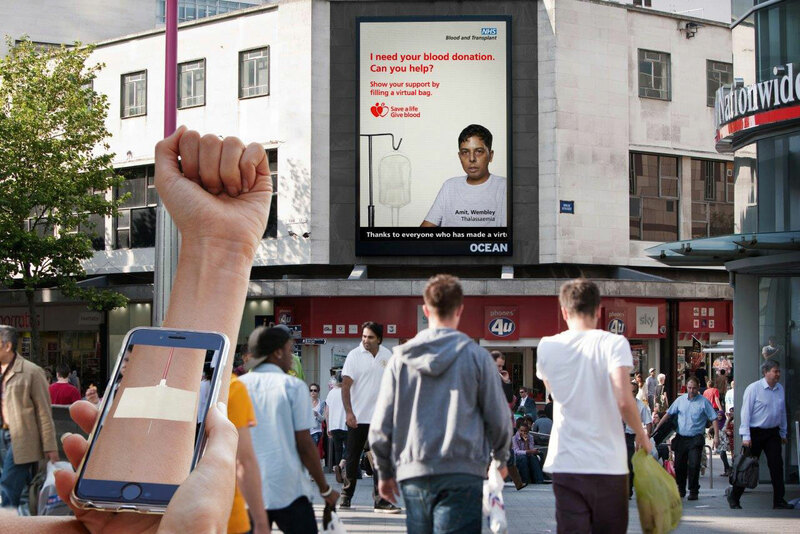 Using augmented reality, Ocean’s NHS Blood campaign seamlessly linked consumers’ smartphones with digital displays; other recent campaigns have integrated mobile audio content with DOOH installations using tailored landing pages. Bluetooth low-energy beacons are set to be a game-changer, enabling DOOH to deliver timely and targeted messages that are directly linked to DOOH creative. DON’T Think of DOOH and mobile as separate channels. The two are intimately linked, and must be approached with a view to how they complement each other. As DOOH proliferates, it will become more integrated into the developing digital infrastructure of our smart cities. 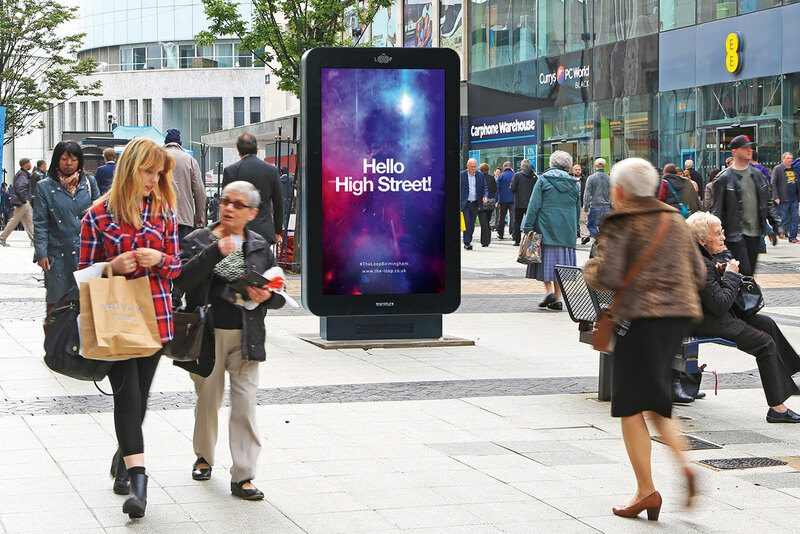 We’re already starting to see this happen; In Birmingham and Manchester, Signature Outdoor’s The Loop delivers 22 full-motion digital locations, linked with Wi-Fi, equipped with facial recognition and offering connectivity for mobile audiences. In New York, the network of LinkNYC public Wi-Fi hubs combines digital signage with superfast Wi-Fi, built-in device-charging and a tablet giving access to local maps and other points of interest. And in Paris, 100 of the city’s iconic newspaper kiosks will be upgraded next year with DOOH touchscreens, offering digital self-service, event-ticket sales and device-charging facilities. DO Be useful. As DOOH becomes a ubiquitous feature of smart cities, advertisers should consider how to produce content that’s genuinely useful. 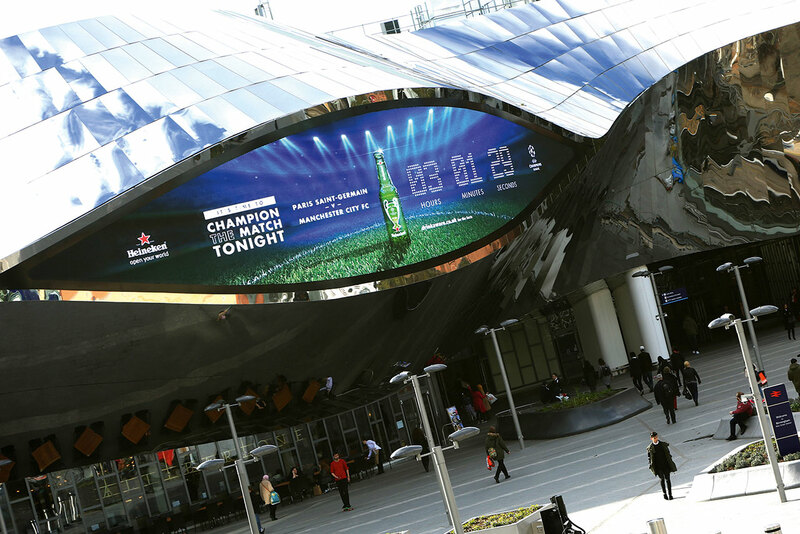 Whether it’s making use of the features that integrated DOOH installations afford passers-by, or combining myriad streams of data to produce brand messaging that’s directly relevant, there is a wealth of opportunities. Digital displays have become increasingly effective at identifying their audience in recent years, with technologies such as gender recognition, gaze-tracking and vehicle recognition enabling more precise targeting. At Ocean’s Holland Park Roundabout site, a campaign for Renault Mégane identified drivers from their number plates and served advertising based on their car model. Recognition technology is becoming more nuanced, with new technologies including emotion recognition coming onto the market. The technology already exists on the small scale; the Xbox One games console’s Kinect sensor can track facial expressions and even changes in heart rate. In the near future, mood-aware DOOH displays will be able to advertise to people based on their emotional state. DO Think long-term. Anonymised, non-intrusive data gathered from recognition technologies doesn’t just form the backbone for your current campaign – it’s key to understanding the trends that will underpin future campaigns. 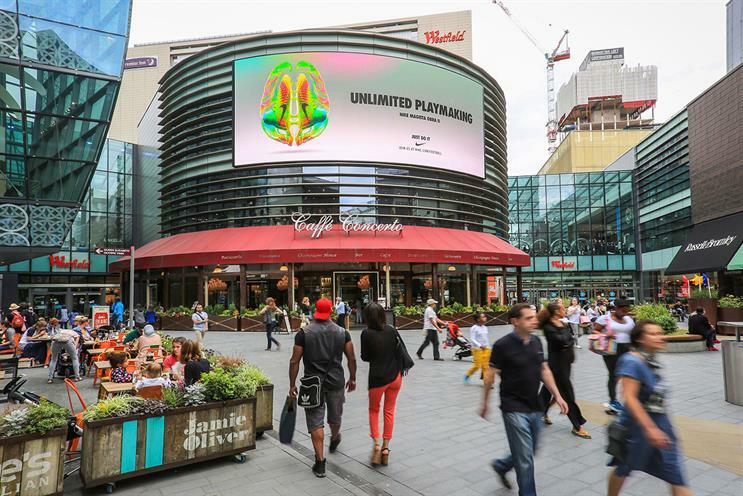 Higher-resolution displays, and technologies such as OLED, transparent displays, quantum dot and HDR, are opening up new possibilities for DOOH, allowing for brighter colours, wider viewing angles and seamless integration with the surrounding environment. 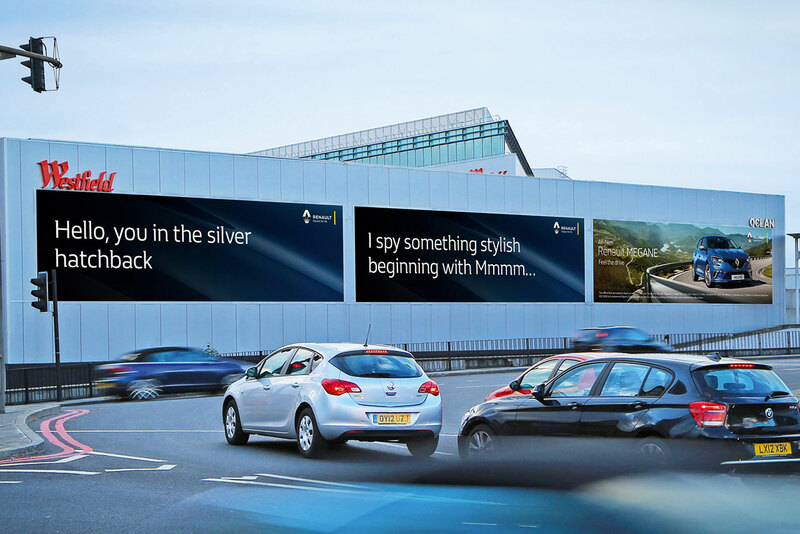 With fibre connectivity, live content can be streamed to screens worldwide, and interactive technologies such as touchscreens and gesture recognition are set to bring a new level of immersion to DOOH. Advanced gesture recognition is just around the corner, with Microsoft’s Handpose software set to bring accurate hand-tracking – including finger-tracking – from a distance. All this adds up to a future of immersive, interactive displays that enable the consumer to engage with content on a deeper level. DON’T Skimp on your production values. With high-fidelity visuals, any flaws are magnified – as newsreaders and actors who endured the transition to HD can attest.